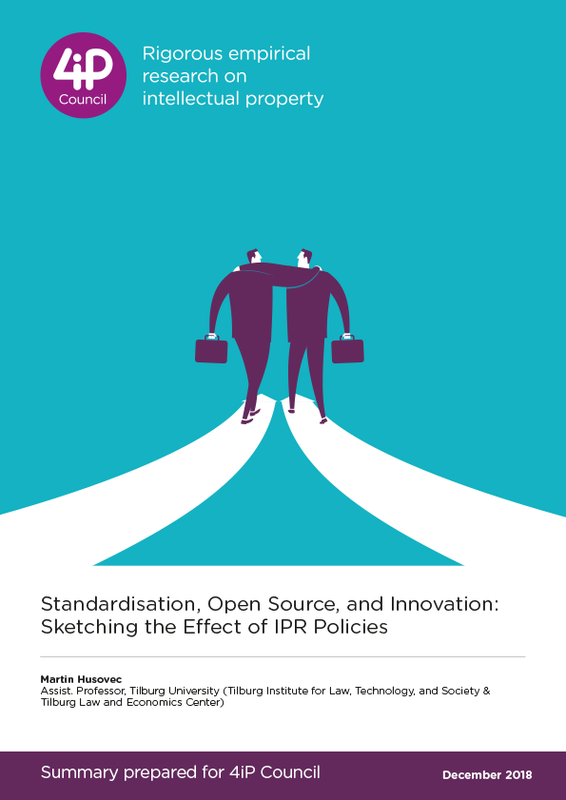 This summary report explores the following questions: “What are the differences between standards development organisations (SDOs)’ IPR policies and open source licenses in dealing with IPRs?” “What frictions may arise from such differences in their interactions?” “Whether the current IPRs framework of formal SDOs is adequate to embrace OSS?”. 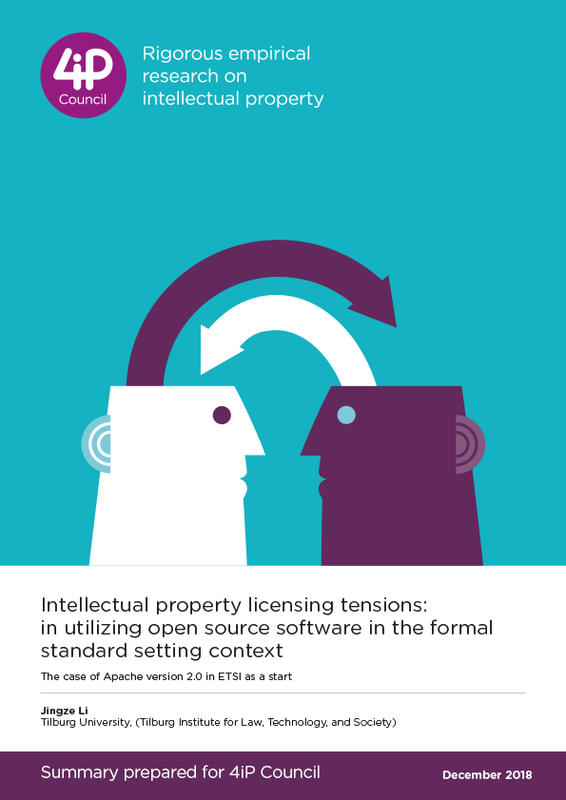 It is drawn by the author from a paper first published by the ITU: J. Li, "Intellectual property licensing tensions in incorporating open source into formal standard setting context — The case of Apache V.2 in ETSI as a start," 2017 ITU Kaleidoscope: Challenges for a Data-Driven Society (ITU K), Nanjing, 2017, pp. 1-8. 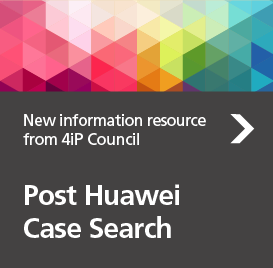 The paper is available for download in the IEEE document library. An extended version of the paper has been submitted to the European Journal of Law and Technology and will available under SSRN. 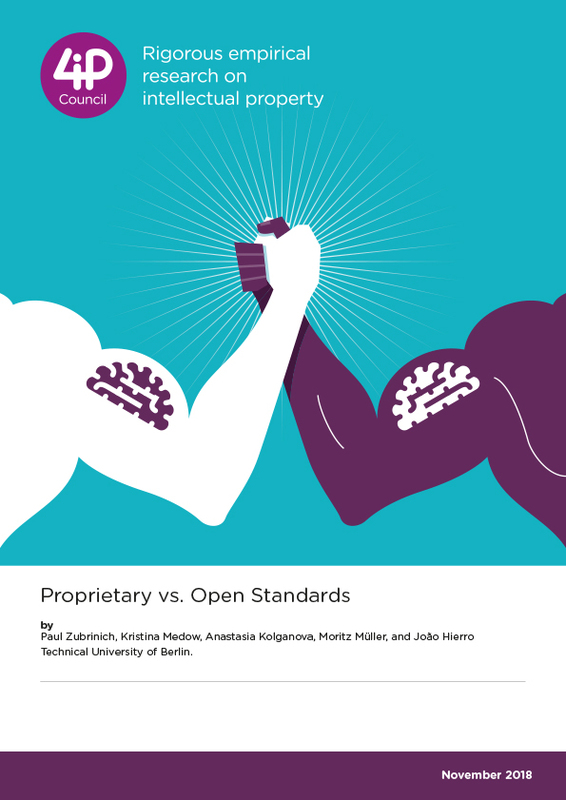 Evaluating the EC Private Data Sharing Principles: Setting a Mantra for Artificial Intelligence Nirvana? 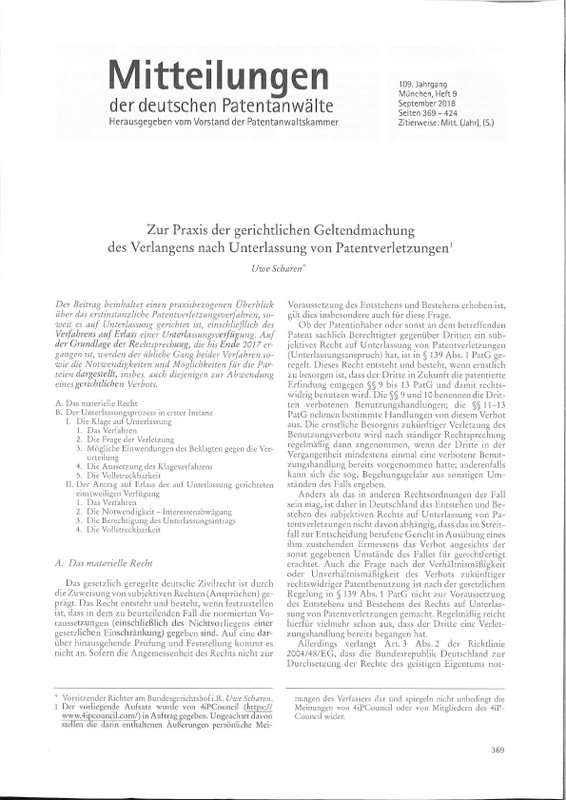 by Uwe Scharen - Former Presiding Judge at the Federal Court of Justice of Germany. 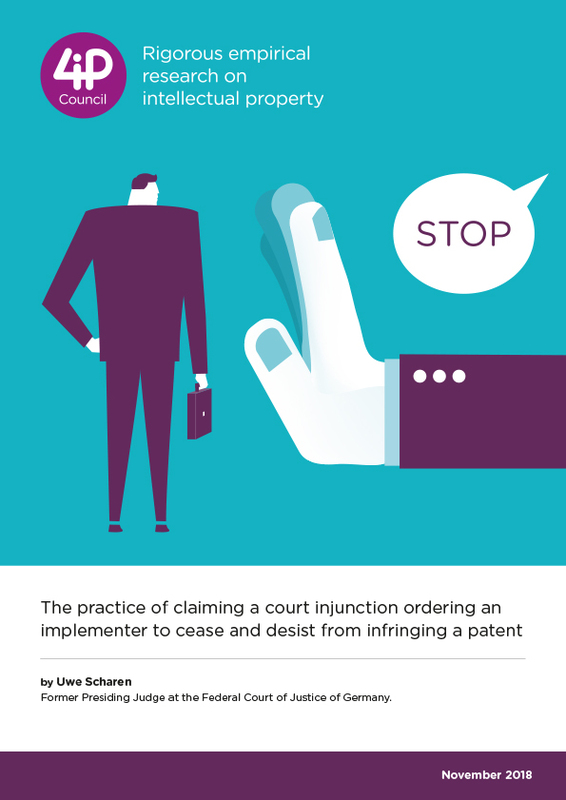 The practice of claiming a court injunction ordering an implementer to cease and desist from infringing a patent - German version.